​What Happens When You Drink Water On an Empty Stomach? My mother always used to say to me, "Water is the elixir of life". She was right. Our bodies are composed mainly of water, anywhere from 60% - 80% depending on our age and health. Aside from air, water is the number one nutrient that we need to function optimally. We can go for months without food but only a few days to weeks without water. If you want to thrive, you need to drink plenty of water. Water flushes our organs, nourishes our cells, and gives us energy. Oftentimes dehydration is confused with hunger. We find ourselves with low energy and poor concentration. Our heads begin to pound and we start searching for the nearest food outlet. For many of us, we reach for food and a coffee instead of water. This is a recipe for disaster. Like sheep we all fall in order and believe that we need a pick me up in the morning and that our bellies need food. The breakfast industry has done a great job of marketing their cereals as the most important meal of the day. The word breakfast, in itself, gives us some clues as to how to approach our first consumption of the day. Break-Fast, means, we are breaking the fast from spending 8 or so hours with no physical consumption. Diving straight into some eggs and bacon is not the correct way to break that fast. The best thing we can do to break from this 'dry' fast, is to consume a large amount of water. Most of the water in our bodies is contained in our cells and they need to stay hydrated. The very best hydration option is H20. This means that in the morning we will do well to avoid dehydrating coffee and foods. Even fruit juice, commonly referred to as the ideal compliment to your cornflakes, is not the best way to rehydrate yourself. Whether freshly squeezed or from a carton, fruit juices are to be avoided as they do not contain any fibre and thus are a concentrated version of the original fruits. So the best thing we can do is start the day with plain old aqua. Maybe add a little squeeze of lemon juice to add some zest and flavour. Japan Knows BestFor thousands of years the Japanese have advocated drinking at least 1 litre of water on an empty stomach upon rising. Fasting on water essentially means that nothing but water is taken in from 24 hours up to 40 days. Dr Joel Fuhrman M.D, author of the book 'Fasting and Eating for Health', claims that many diseases and illnesses have been reduced and cured through water fasting alone. On Fuhrman's website you can explore a wide range of testimonials from people claiming that fasting has helped them lose weight and improve a wide range of conditions. I know from my own water fasting experience that many changes take place in the body. I have done many different water fasts ranging from 24 hours to 3 days. Last October I did a 5 day water fast. Many changes in my body took place during that period of time. My skin became smoother and my mind gained clarity. I lost a lot of weight and slept more soundly too. Over time, however, these benefits were lots when my lifestyle went back to its less than optimal ways. These days my diet swings back and forth between extremely healthy and average. As a child I always remember that if I was ill, my mum would try and get me to eat something. Intuitively we don't want to eat anything when we are ill. I would refuse all food. Even when I drank, sometimes I would just hurl it back up. Much like with animals in the wild, we need to get out of the way of the bodies natural healing system by abstaining from food and taking in quality water. When we eat food, our digestive system uses about 70% of our total bodily energy. If we abstain from food and relieve ourselves from this pressure, we make way for the immune system to put 100% of its effort into healing and regeneration. 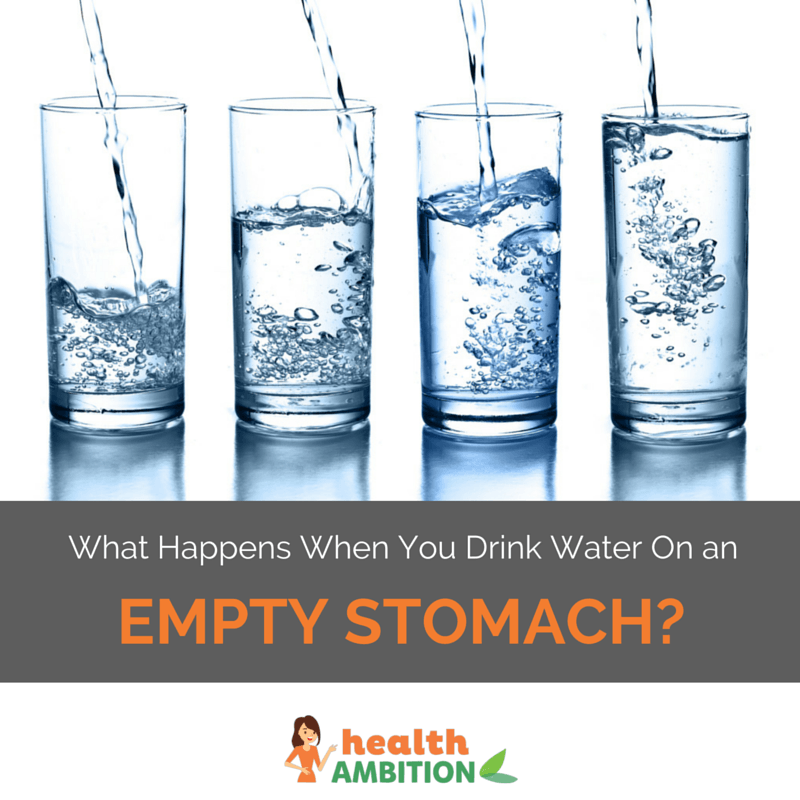 What Happens When You Drink Water On an Empty Stomach? Hydration plays a huge role in the regulation of our bowels. If we are dehydrated than you better believe that we will have trouble moving our bowels and getting rid of waste. 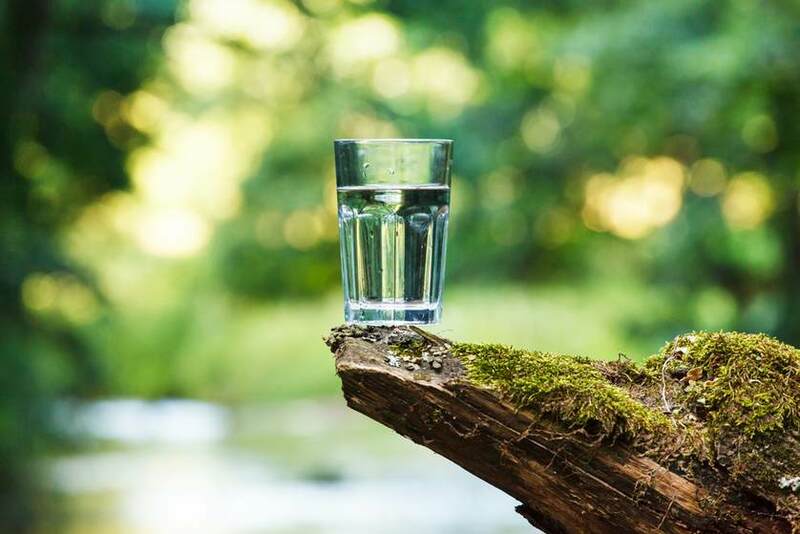 Drinking water first thing in the morning on an empty stomach will help to get rid of the accumulated sludge that the body has tried to expel during the night when you were fasting. The more you drink, the more you go to the bathroom, the more you expel. Just make sure you aren't on a long drive. If you are, plan for rest stops. And watch out for those bumps. If you suffer from urinary tract infections (UTIs), drinking a lot of water can prevent them. The fluid flushes out harmful bacteria. As mentioned earlier, most of us mistake dehydration for hunger. (source) By ensuring we always have some water at hand, we can ensure that we do not mix up those warning signals. When you wake up in the morning, reach for the water instead of the toast. If you’re trying to lose weight, you can achieve a significant calorie deficit by upping your water intake. Starting your day off with a large amount of water on an empty stomach is the perfect way to increase clarity, wake you up and prevent headaches. If the aim of the game is to lose some weight then you can give yourself a metabolic boost by drinking water. Ultimately this leads to quicker and more efficient digestion which results in weight loss in the long run. Next time you feel like an afternoon nap, try glugging down some water. By drinking water on an empty stomach you will stimulate your red blood cells. If you are on a diet, drinking water can help you to lose more weight. Water has no calories so you can drink as much of it as you want without having to worry about gaining fat.. Drinking water on an empty stomach is one of the best strategies you can use when you are on a diet. Poor skin is often a direct result of a body that is lacking in nourishment. By flushing our system with water, we hydrate the cells of our skin, improve bowel movements and increase waste disposal. The rewards? Beautiful clear, radiant skin. Drinking water on an empty stomach balances out fluid levels and helps support your immune system. By assisting our cells and other bodily functions by providing them with their number one nutrient, we assist the immune system, giving it the fuel it needs to do its job as efficiently as possible. This means that we can better fight off infections and illness. Water is the a miracle in this world. Most of the planet is made of water and most of the living organisms on the surface area of the planet as made from water. Water boosts our energy, improves complexion, fights against illness and keeps us sharp. When we drink water on an empty stomach we have an even stronger positive response. By ensuring that nothing is standing in the way, preventing water from doing its thing, we allow water to go to where it is needed as quickly as possible. My advice to you is to drink upon waking and then continuously drink throughout the day. Avoid drinking during meals and try to drink as much as possible on an empty stomach to reap the full benefits.